There were a lot of great games released in 2018, which was quite unfortunate for our bank accounts. With even more promising titles to come in 2019, here are some of the best five games that were released in 2018. If you didn’t manage to pick up one of these games, now might be the time to indulge a little. Spyro Reignited Trilogy is just what its name suggests: your favourite dragon with a fresh coat of purple paint. It is a remaster of the three original Spyro games, Spyro the Dragon, Spyro 2: Ripto’s Rage, and Spyro: Year of the Dragon that were initially released on the original PlayStation. Spyro Reignited Trilogy captures the nostalgia of the original games perfectly for old fans of the series. It improves the camera and the way Spyro handles, making for a smoother and more enjoyable experience. The original low-poly, pointy landscapes are replaced by luscious, gorgeously-detailed scenery, where even the grass blackens after being doused with fire. The soundtrack is revamped and polished, as is the voice acting. Spyro Reignited Trilogy has done a wonderful job of enhancing the original games without tarnishing its charm and gameplay. Charging into enemies, gliding across rooftops, and collecting gems is still as fun as ever. 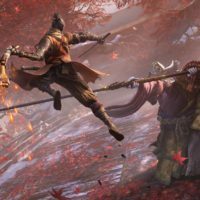 The remaster is a breath of fresh air (or rather, fire) that the series needed. Previous attempts at rebooting the Spyro franchise has failed, such as The Legend of Spyro games that ran from 2006 to 2008. 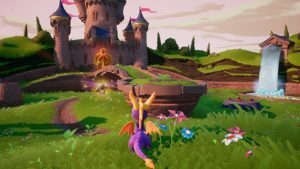 Spyro has left a sour taste in people’s mouths since developer Insomniac ended their involvement with him after the release of Year of the Dragon. Our favourite purple dragon never seemed to recover his original status, but this remaster seems to have helped pour oil on troubled waters. It has brought new hype, a new audience, and potentially a new bout of future games which might actually be good. God of War seemed to come as a surprise to everyone. Although the previous instalments in the series were popular, God of War exceeded them in practically every way. With breath-taking visuals, a compelling story, and fun and satisfying gameplay, God of War quickly received several perfect reviews, as well as nominations for Game of the Year, which it ended up winning. You take control of Kratos, a Greek God of War. Since the events of the previous games, a much older Kratos has hung up his weapons and now has a son named Atreus with his second wife, Faye. In the aftermath of Faye’s death, both Kratos and Atreus embark on a dangerous journey to reach the highest peak of the mountain of the Realms so they can scatter her ashes. The combat stays true to its predecessors but has been enhanced drastically, making it challenging, enjoyable and rewarding. The bosses are difficult, but these huge showdowns are thrilling and exciting to play through. The world is also less linear, and the game urges you to explore to find hidden chests, side quests, or perhaps a Valkyrie or two. The best feature of the game unquestionably lies in is its storytelling. The plot is captivating and emotional, as is the depiction of Kratos and Atreus’s relationship. 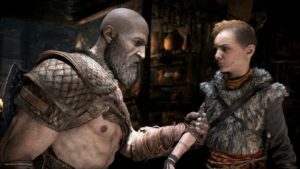 Kratos is short-tempered, firm and harsh towards his son, who in turn is playful, a little self-centred, and has a strong desire for his father to be proud of him. The evolution of their relationship and their story is what makes the game so great, and completely deserving of its godlike rank. 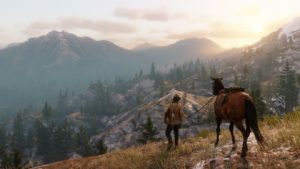 Hardly a surprising entry in this list, but Red Dead Redemption 2 surpassed everyone’s expectations, which were already pretty high to begin with. Since the release of the original Red Dead Redemption back in 2010, people had been after a sequel. When Rockstar finally delivered, the hype began. Red Dead Redemption 2 was initially planned for a 2017 release date, but Rockstar pushed it back to October 2018. When fans were finally able to get their hands on the game, it completely overshadowed everything else. Even Shadow of the Tomb Raider and Call of Duty: Black Ops 4 were lost in the excitement. Serving as a prequel to the original Red Dead Redemption, the game’s main protagonist is Arthur Morgan. If you’ve played the first game, you’ll remember John Marston mentioning being in a gang led by Dutch van der Linde when he was younger. Red Dead Redemption 2 is set twelve years before the events of the original game and focuses on Dutch’s gang and its downfall. The open world aspect of Red Dead Redemption 2 is impressive. Not only do you have access to two maps from the first game, but the main area you’ll explore is incredibly expansive. There are deep forests with flowing streams where wild horses gather, and muddy, murky swamps full of alligators. Just about any type of scenery you can imagine is in the game. The world is gorgeous. Even the cities and towns are full of life and activities to do, like going to the theatre, popping to the saloon, or participating in a game of poker. 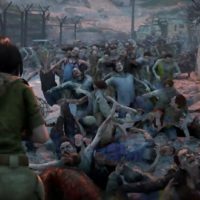 As well as the overwhelming number of things to keep you busy, the game is immersive and tries to be as realistic as possible. You need to eat and sleep to recover your energy, and animals you hunt will decay over time. Even your horse needs TLC and will require reassurance to stop it spooking when a predator is nearby. It’ll also run into trees if you’re not great at steering, which seems to be most of us. Red Dead Redemption 2 offered an interesting story and brilliant character development of both Arthur Morgan and Dutch. Additionally, the realistic mechanics, beautiful scenery, and the wide range of activities to do raised the stakes for the action-adventure genre of games. 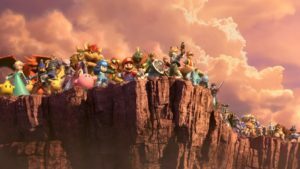 Smash Bros. is a staple for any Nintendo console, but Super Smash Bros Ultimate for the Nintendo Switch raised the bar for all previous entries. Like prior instalments, you pick the fighter you want to play as and battle other opponents to punch your way to victory. Each character has its own strengths and weaknesses, and the battles involve a bit of precision and strategy if you’re to be the last fighter standing. The roster in Super Smash Bros. Ultimate is huge. There are a staggering seventy-six fighters to choose from. 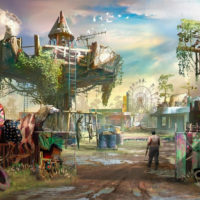 There are also more than one hundred stages, dozens of items that make the stages more diverse (and frustrating), and over eight hundred and fifty music tracks. The game also introduces spirit fighters, in which there are well over a thousand of. 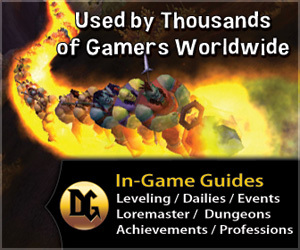 There are plenty of game modes to choose from, such as single player, online and co-op multiplayer, and Smashdown. The latter removes a character from the roster once someone has played it, forcing you to pick a fighter you’re not as comfortable with. You can even create your own stages, which is as extensive as ever. A new great feature is Stage Morph. This allows you to pick two stages and the length of time you want to wait before the stages begin to transition into one another. It’s a great deal of fun and makes for some complex gameplay as you try to keep up with what is happening on the screen. Nintendo has been on a roll since the release of the Nintendo Switch, with fan favourites like The Legend of Zelda: Breath of the Wild and Super Mario Odyssey. Super Smash Bros Ultimate is no exception. Celeste is a huge accomplishment. This little indie platformer, which was initially created as a sample piece during a game jam, managed to score top reviews and a nomination for Game of the Year. From first impressions, Celeste looks like any other 2D side-scrolling platformer, but it is completely unique in many ways. The journey seems simple. The game’s central character, Madeline, must progress through over two hundred stages to reach the summit of a mountain. Throughout her story, Madeline comes face-to-face with a dark version of herself, which are her anxieties, worries and struggles humanised. This Part of Madeline (as the game calls her) belittles the main character, telling her she’ll fail and she’s not worthy. Climbing the mountain is a metaphor for her depression. The platforming sequences are incredibly difficult and frustrating, and this portrays how hard battling depression is, especially when it’s your own thoughts haunting you. 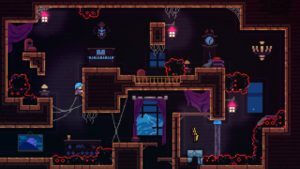 Celeste’s gameplay involves dying a lot. It’s similar to titles like Dark Souls and Super Meat Boy in that regard. The controls are simple: you can run, jump, climb walls and air-dash. Each level is incredibly different to make sure you never feel bored, and this is how the game deals with Madeline’s limited controls. Some stages have feathers that allow the player to fly for a short period of time, others have poisonous spikes that kill Madeline instantly. There are even optional strawberries to grab that slightly alter the game’s ending, but these collectibles are extremely hard to obtain. The diversity in each stage stops the game feeling repetitive. The charming, challenging-yet-fun gameplay and the emotional plot make Celeste a delight to play. It’s no wonder the game was nominated for so many awards. Indie games don’t typically gain this much attention, and the fact that Celeste beat huge triple-A titles for Game of the Year is an achievement that is well-warranted.